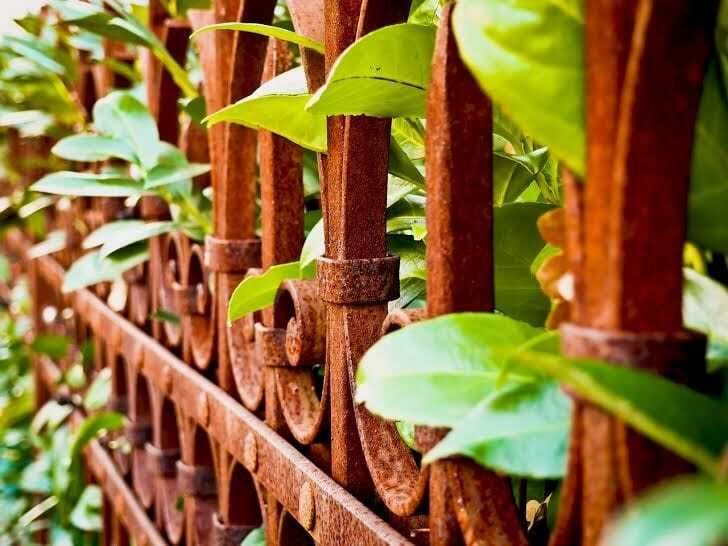 How to Treat Rust and Corrosion in Mandurah? As a local Mandurah painter living and working in Mandurah is great. Where else in the world could we enjoy such an great aquatic lifestyle? However this lifestyle plays havoc with our homes. Living near the ocean and estuary is one of the most destructive places a house can be located. Unfortunately this means your home will require more regular maintenance to not only preserve your homes good looks, but also its structural integrity. As your paint begins to break down, it allows the salt to penetrate through to the metal surfaces accelerating the oxidising process, which can get out of control very quickly. When it comes to treating rust, prevention will always be better than the cure and there are some simple things you can do. Firstly is to regularly clean down metallic surfaces i.e. gutters, facias, window frames etc with warm water and a mild detergent solution to remove the salt. Doing this every few months will greatly extend the life of your paintwork. Also, periodically check the condition of your paintwork. If it looks like the paint is starting to break down and rust is starting to form, then attend to it sooner than later. Whilst it's tempting to ignore rust, unfortunately it will not go away and it is much cheaper to treat it immediately. Treating rust at the early stages is a relatively easy and effective process and if done correctly, should last a good while. If it is left, it becomes a lot more difficult to rectify and the chance of the rust reoccurring is much greater. Also the final job never seems to look quite as good. There are a lot of rust prevention techniques and products on the market these days and some are better than others. By choosing a professional local house painter like Seascapes Painting, you are avoiding the guess work and getting the correct advice first time.